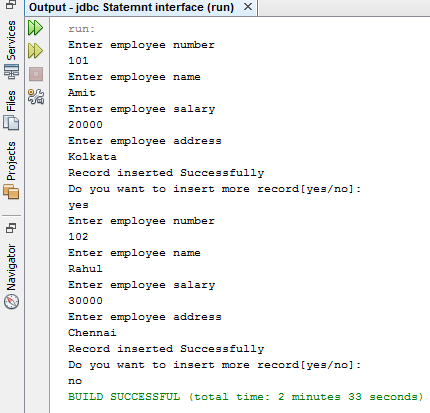 In this tutorial, you will learn Statement Interface in JDBC. By using Statement object we can send our SQL Query to Database.you will also learn Statement interface methods. 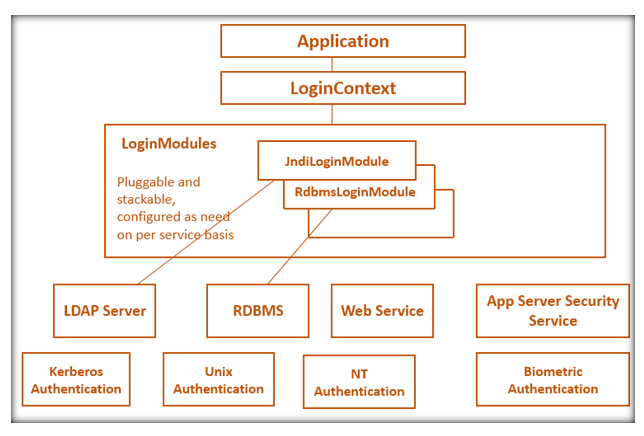 What is Statement Interface in JDBC? 1) public boolean execute(String url): This method is used for all type of SQL statement (eg.Select, Insert, Update etc. ).This method returns a boolean value.if you don't know which method is used (executeQuery() or executeUpdate()) then you should go for execute() method. 2) public ResultSet executeQuery(String url): This method is used for the Select a statement which retrieves some data from the database. This method returns a ResultSet object. 3) public int executeUpdate(String url): If you want to modify in your database, then you should go for executeUpdate() method. This method returns an int value which indicates a number of rows affected. 4) public int executeBatch(): This method is used for the execute the batch of commands. This method returns an integer array.